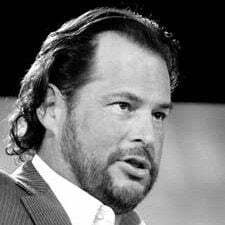 Salesforce has announced that it is to acquire MuleSoft for around $6.5 billion. Once the transaction is complete MuleSoft will power the Salesforce integration cloud. The deal sees MuleSoft almost double in value since its IPO on March 18th 2017 where it was worth $2.9 billion (Source: Crunchbase). MuleSoft is one of the leading integration platforms on the market. It enables different applications both on-premises and cloud, as well as devices, to connect with one another using its Anypoint platform. Salesforce will fund approximately half the acquisition from its balance sheet. For the remainder around $3.0 billion of proceeds from a combination of term loans and/or the issuance of debt securities. With over 1,200 customers including GE, Accenture, Netflix, Unicef, Coca Cola and Intuit it powers the application networks of many different industries. Once rebranded as the Salesforce Integration Cloud it will widen the Salesforce ecosystem massively. It means that software companies that are not on the Salesforce platform should find it easier to connect. Good news for MuleSoft competitors ? For companies such as Dell Boomi and Jitterbit, competitors in the integration space, this is a mixed blessing. It was always a matter of time before MuleSoft was acquired. Salesforce was probably (in hindsight) the most likely candidate. While it has strategic partnerships with SAP and Microsoft, it was Salesforce Ventures that invested in its final funding round. For its competitors the Salesforce integration cloud will provide a threat to any business that involves Salesforce as the main player. 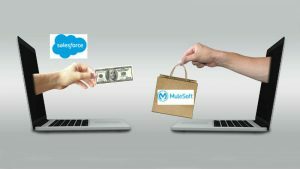 However, it is likely that over time MuleSoft with deepen ties to the Salesforce platform and loosen them with other CRM vendors such as Microsoft. This could create an opportunity for others to align more closer with those software vendors. The acquisition may also bring SAP and Salesforce closer together. MuleSoft is the de facto integration platform between SAP ERP and Salesforce. Rather than acting as a third party it may see SAP talk directly with Salesforce, despite the competition between the two companies on some fronts.